Betsy and I have been to Desoto State Park in Alabama several times. 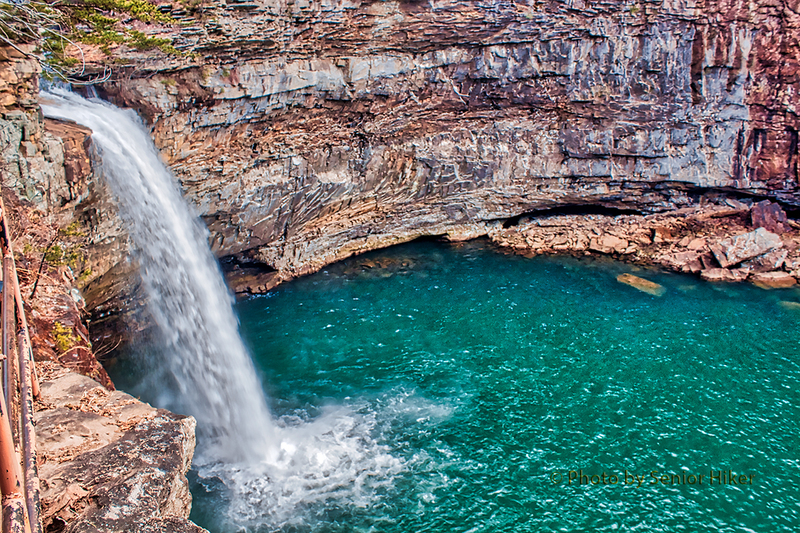 It’s a wonderful park with waterfalls, hiking trails and a beautiful mountain setting. 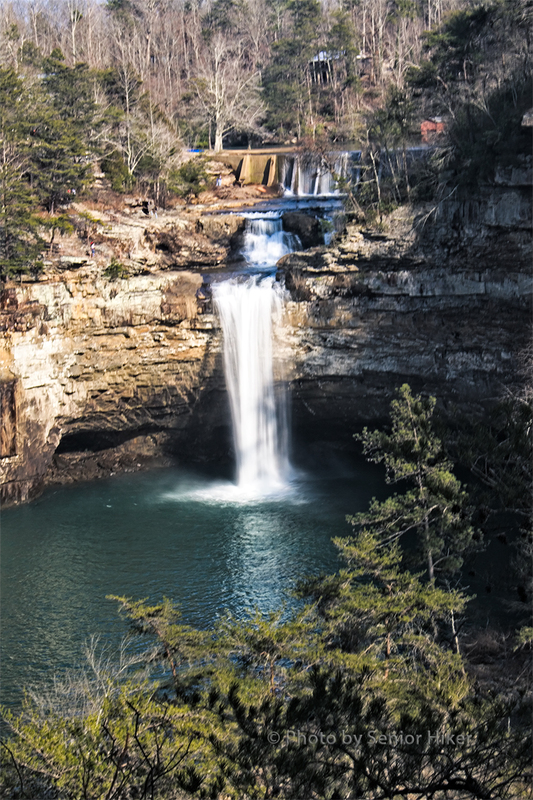 One of the main attractions of the park is Desoto Falls. All of these pictures are from a visit we made to the falls in 2013. This was part of a birthday surprise that Betsy had arranged for me. 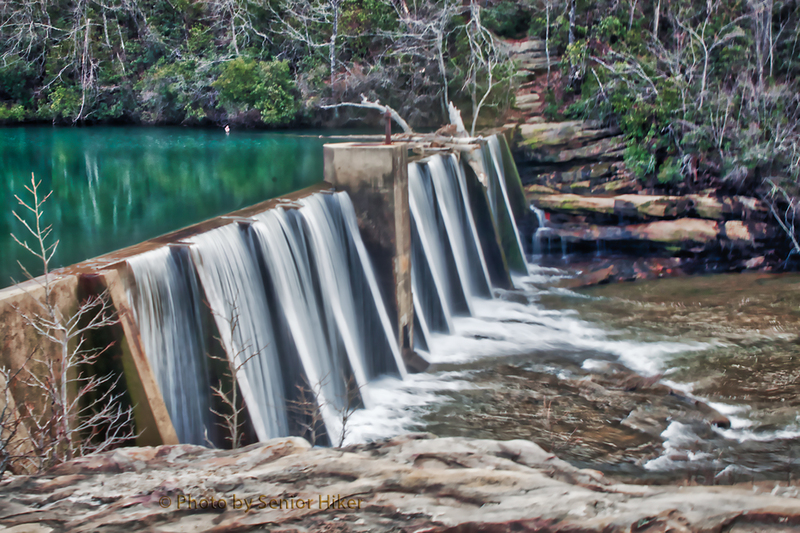 There is a dam just above Desoto Falls which forms Desoto State Park Lake. Although the dam is not part of the waterfall, it too, is a beautiful sight. 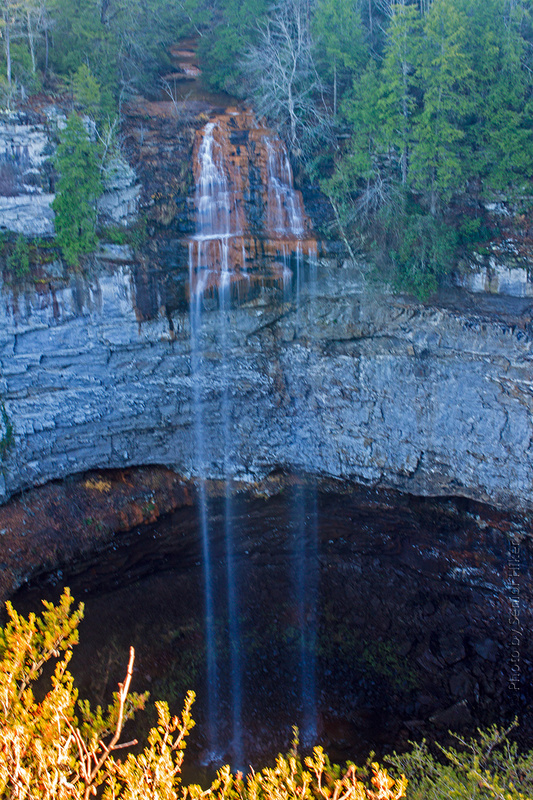 The official viewing area for Desoto Falls offers only a side view of the waterfall. It’s a nice view, but Betsy and I had seen pictures of the waterfall from a different vantage point and we wanted to find it. After talking to one of the park rangers we were told that it was possible to bushwhack to a view of the falls by following a primitive trail almost two miles from the official viewing area. We found the trailhead without too much difficulty and hiked back toward the waterfall. 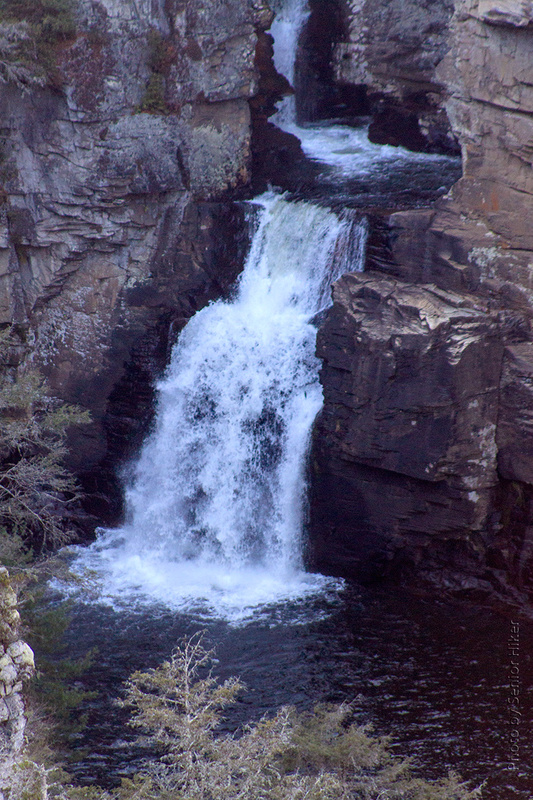 After a while we were rewarded with this view of Desoto Falls. We weren’t as close we were at the official viewing area, but we both liked the view we were able to enjoy. In some ways we hope that the primitive trail is not upgraded — we can keep this beautiful spot as our very own secret. I’ve been experimenting again. I’ve used Photoshop to horizontally stitch together pictures to make panoramas, but I had never tried to stitch pictures vertically. 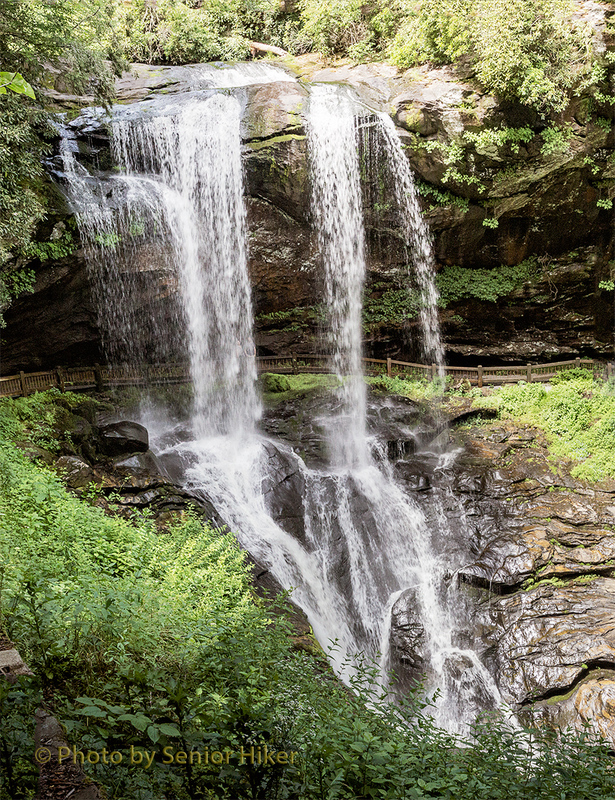 When Betsy and I visited Dry Falls on our way home from our anniversary celebration, I captured three pictures of different parts of the the waterfall which I later stitched together to get the image above. I think the result gives a good view of Dry Falls. 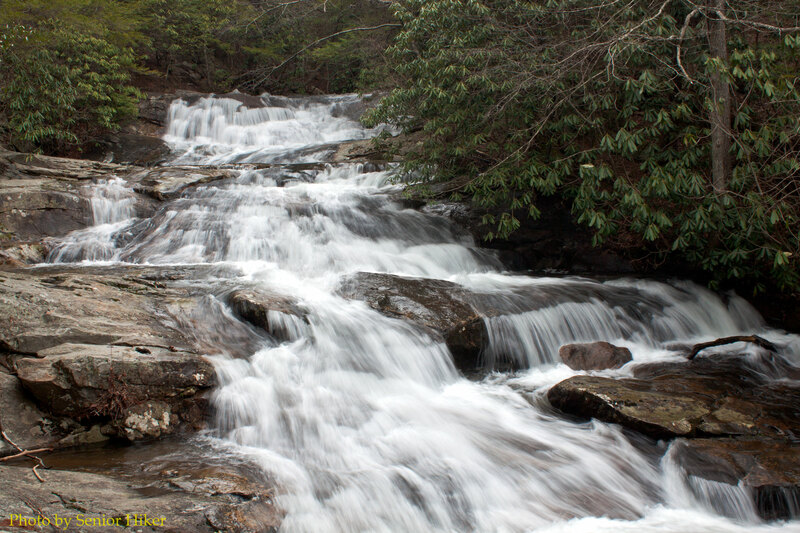 Brush Creek Falls, Pipestem Resort State Park, West Virginia. April 23, 2010. As most of you know, Betsy and I enjoy tracking down and visiting waterfalls. They don’t have to be big or well-known for us to enjoy them. 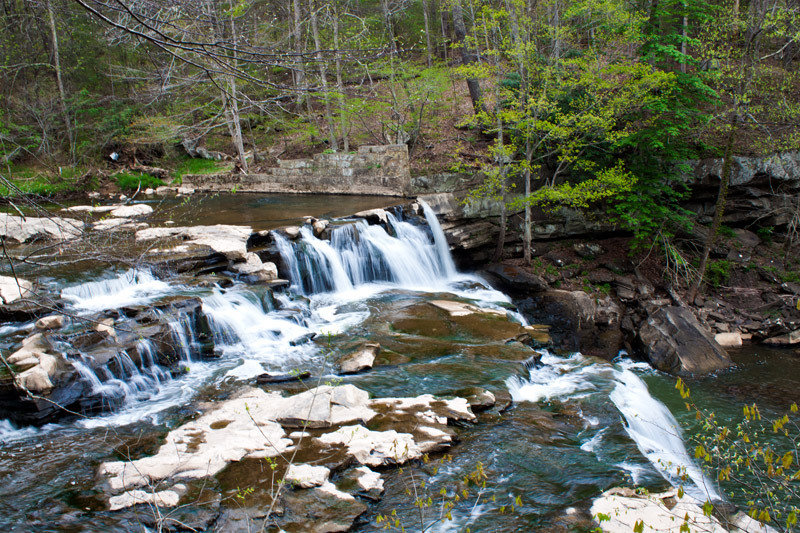 We visited Brush Creek Falls in April of 2010. 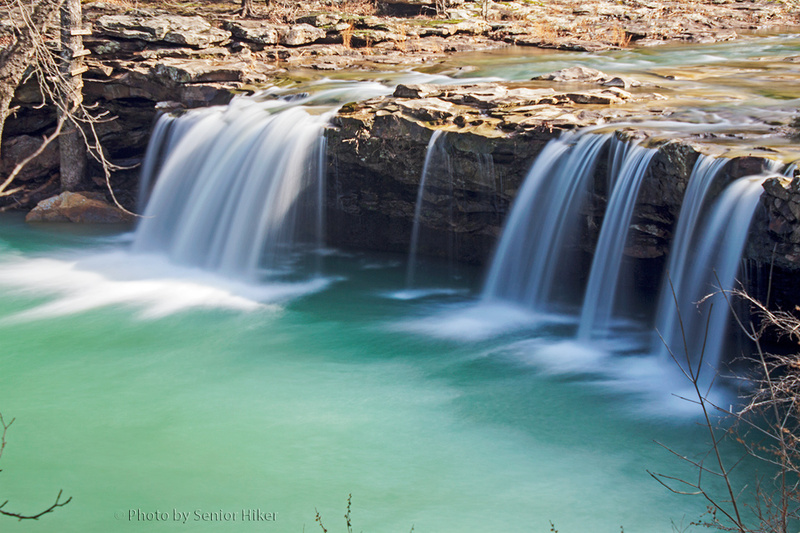 It is located in the Pipestem Resort State Park in West Virginia, but it required some hiking to get to it. 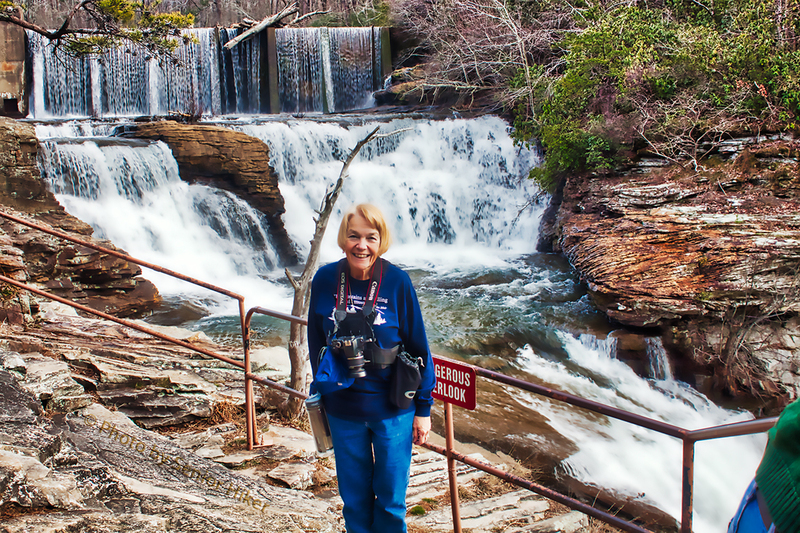 Betsy and I drove into the Ozark National Forest of Arkansas on a gravel Forest Service road to visit Falling Water Falls o Valentine Day. We had visited this waterfall a couple of times before, but we found much more water in the creek this time. Also, the color of the water was absolutely gorgeous. 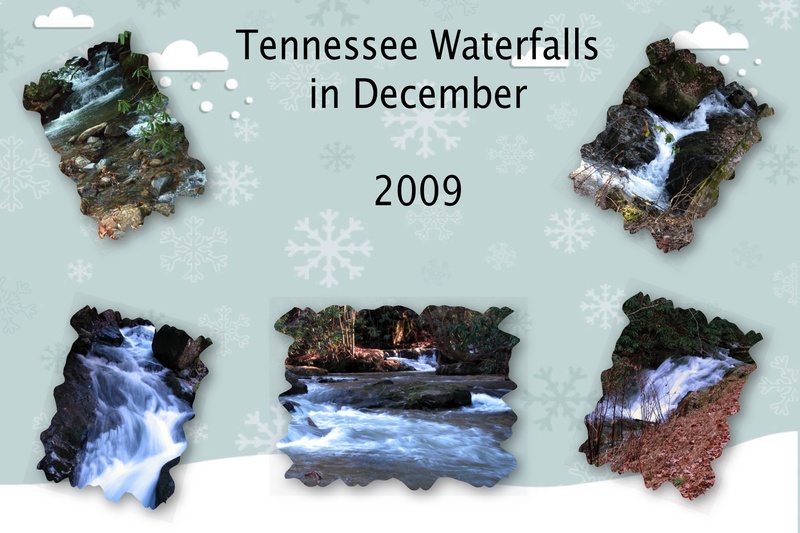 December is a pretty good month for visiting waterfalls in Tennessee. 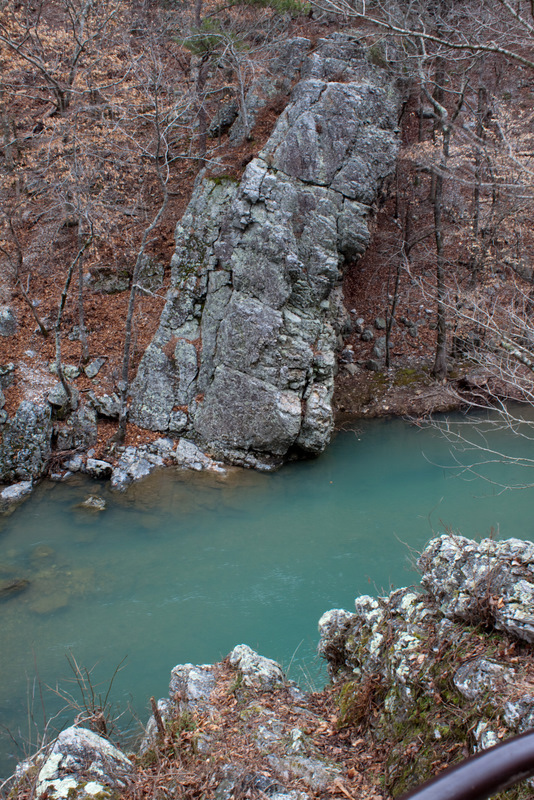 The weather is usually cool for hiking, although sometimes the water levels are low. 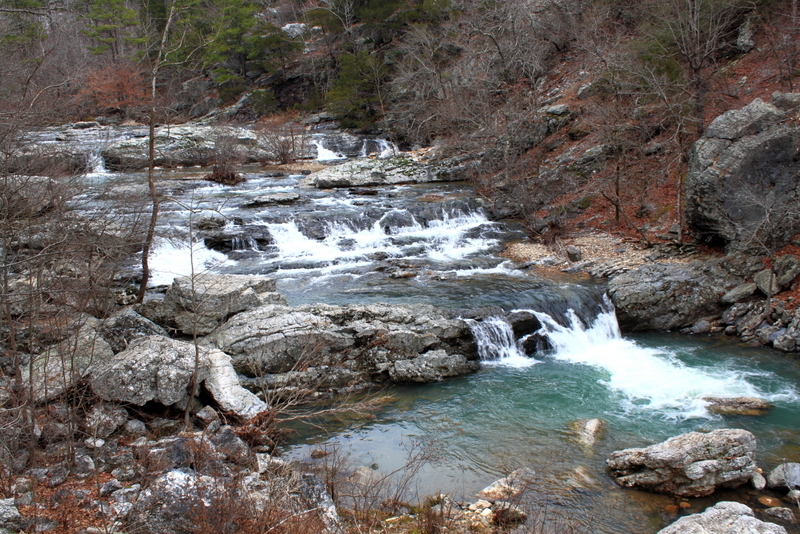 We visited some waterfalls near Flag Pole, Tennessee, in December, 2009. Most of the waterfalls were fairly small, but we enjoyed visiting them just the same. 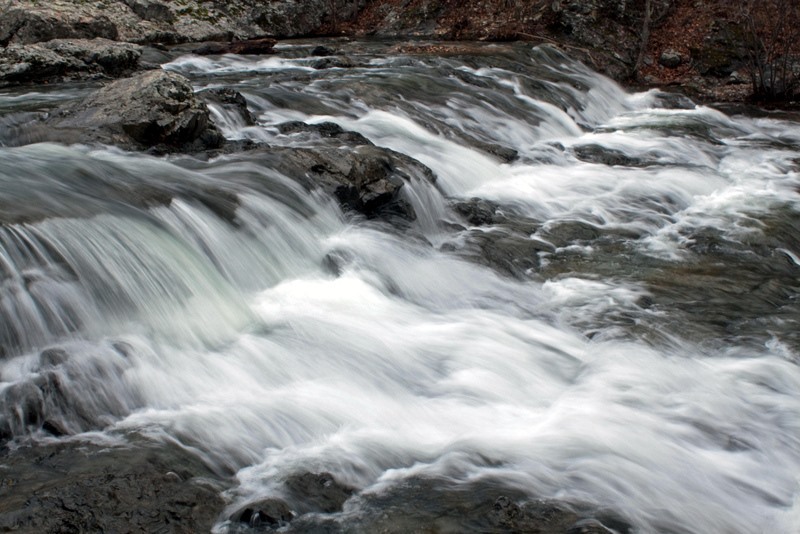 In the collage above Big Branch Cascade is on the upper left, while Hogskin Branch Falls is on the upper right. Upper Big Branch Falls is on the left in the bottom row, with Devil Fork Falls in the center. Big Branch Falls is on the lower right. 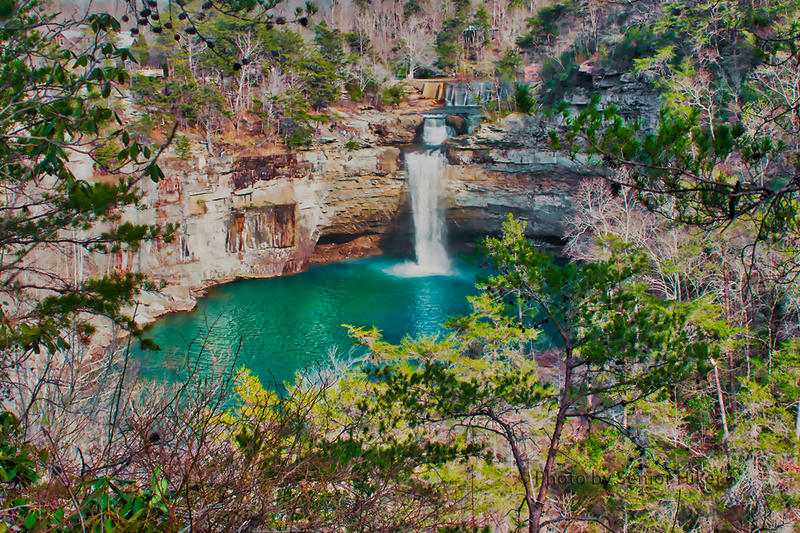 Fall Creek Falls, Fall Creek Falls State Park, Tennessee. November 23, 2012. Betsy and I went to one of our very favorites places — Fall Creek Falls State Park here in Tennessee — on the Friday after Thanksgiving to meet one of her Texas sons and family for lunch and a visit. After a delicious lunch and much conversation we all went to the overlook to see Fall Creek Falls. There wasn’t a great deal of water going over the falls, and the sun was in the worst possible position for pictures, but I tried to get one anyway. I was shooting into the sun, so the falls and its bowl were in shadow. But the iron in the water gave the rocks of the waterfall a neat color that I just had to try and capture. 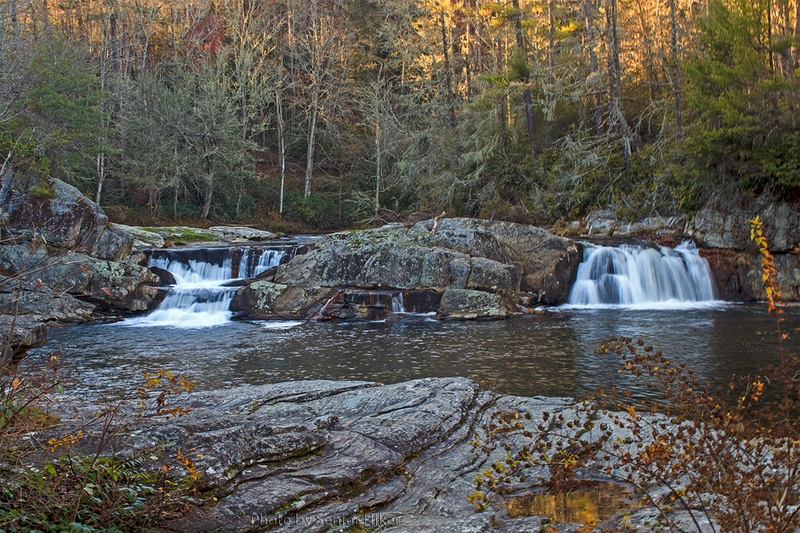 Waterfall on Little Fall Branch, Harmon Den, North Carolina. April 3, 2012. Betsy and I like to break up trips, whenever possible, by working in a hike, preferably to a waterfall. 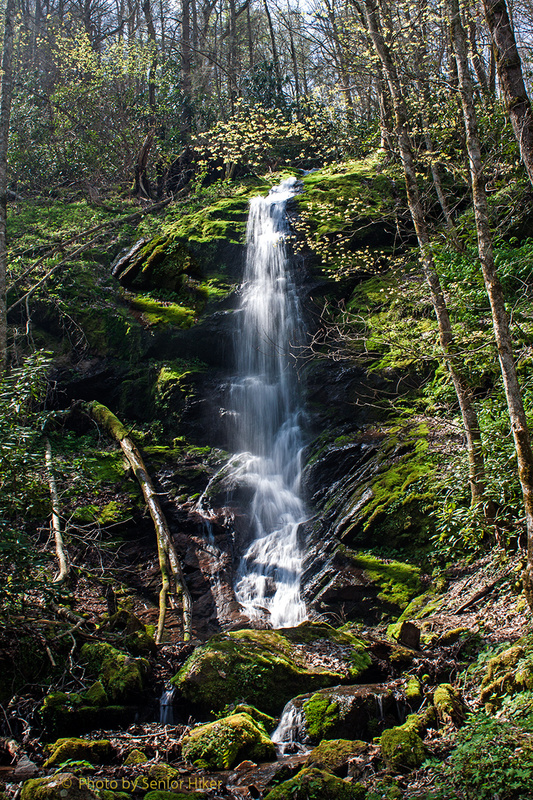 We went to Asheville, North Carolina, in early April and decided to visit Waterfall on Little Branch along the way. We had planned to visit that waterfall on our way home from Asheville back in January, but a rockslide in the mountains blocked our access to that area. The interstate has since been reopened, so we decided to try again. We took the interstate to an exit just over the North Carolina line, where we accessed a Forest Service road into the Harmon Den Wilderness Area. The gravel road followed a creek for about three miles before turning off. We found the trailhead and hiked for about half a mile until we came to the beautiful waterfall above. We stayed for some time to enjoy the waterfall, but then we had to hike back to the car to continue our journey. But what a great way to break up a trip.